The Color of Imagination- The first color developed with colorists for colorists. 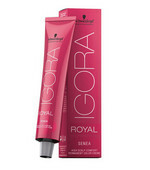 Unite IGORA Royal's fast-mixing cream and developer to achieve perfect colour equalisation and coverage. Iridiscent micro-particles form a Color Crystal Complex, locking in colour like a magnet, for intense, long-lasting results. 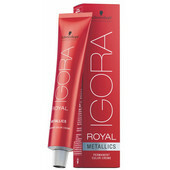 Miracle Tree (Moringa Oleifera) proteins in the cream fortify the hair structure, while the developer’s cationic ingredients work like a conditioner, for ultimate colour care and amazing shine.